Ferrari's fastest, most powerful creation demands to be driven like this. It’s a phrase some readers won’t be overly familiar with, but when Chris Harris says he’s “going to give it the full potatoes” and when the car he is about to give said potatoes to is the Ferrari LaFerrari then you are probably going to want to stop what you’re doing and watch. 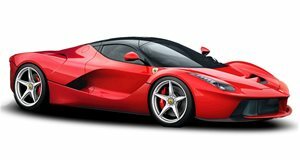 The brief snippet previously supplied by /Drive has been replaced with a full-length feature of the 963-hp LaFerrari being thrashed on the road and track. It’s a car, Harris claims (and he should know, he’s driven/hooned both) that belongs in a class of two, the other member being the McLaren P1.